While just straining the Achilles tendon may not be glaringly painful to you in the beginning, if you continue working out or exercising you risk tearing or possibly even breaking the tendon, which will require considerable therapy or surgery followed by a long recovery period. So rest your foot until you are sure the injury isn’t too severe before continuing to avoid a bad case of Achilles tendonitis. Swelling, stiffness, and pain in the heel that often is felt in the calf muscle as well. A minor injury to the tendon will cause heel pain that gets more pronounced with exercise, and is a sign that you should stop immediately! A particularly severe injury may include a loud popping sound when the tendon breaks. Ouch! Resting, icing, and elevating—It’s very important to quickly stop activities so that you don’t make the symptoms worse. Apply ice to reduce swelling, pain, and raise your leg above your heart to help drain fluids and reduce inflammation. Physical therapy exercises—After the primary healing period, it will be necessary to perform physical therapy exercises to gradually strengthen the foot without causing a another injury. Custom made orthotic inserts—A specially made shoe or boot combined with custom made orthotic inserts will help relieve pain and speed healing. 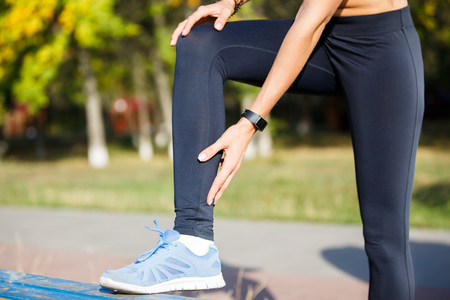 Your foot doctor will perform imaging studies to determine the extent of the damage and surgery will be required to repair a severe tendon tear or break. If you are experiencing severe heel pain, see your podiatrist for the best care. At Family Foot & Ankle Clinic, Dr. Stephen Markantone treats a wide variety of foot and ankle conditions including sports injuries, diabetic foot issues, pediatric foot conditions, toe and foot deformities, fungal infections, and heel problems. Equipped with the most advanced technologies and a dedicated staff, Family Foot & Ankle Clinic provides individualized and high quality care for patients in the North Versailles and Delmont, PA areas. Contact our North Versailles office at 412-824-9370 or our Delmont office at 724-733-3338 to schedule an appointment.